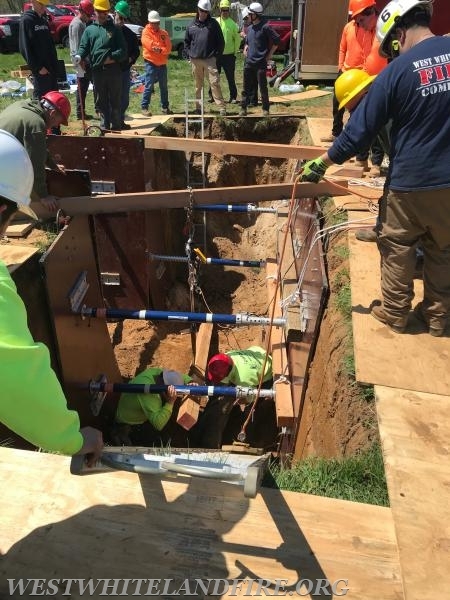 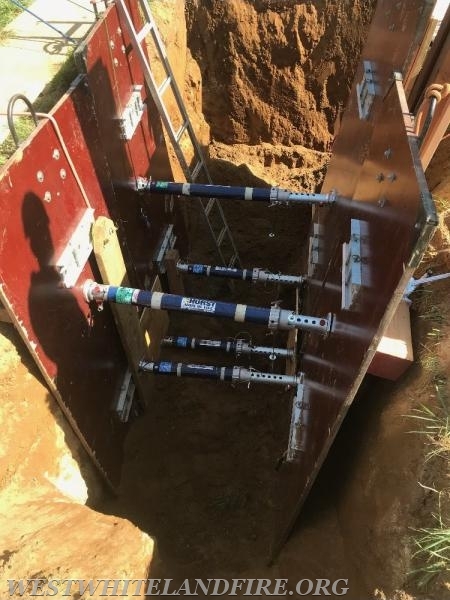 Members of the West Whiteland Fire Company, East Goshen Township Public Works , Uwchlan Township Public Works, West Whiteland Township Public Works, and Horn Plumbing and Heating , participated in a Trench Operations Class hosted by East Goshen township. 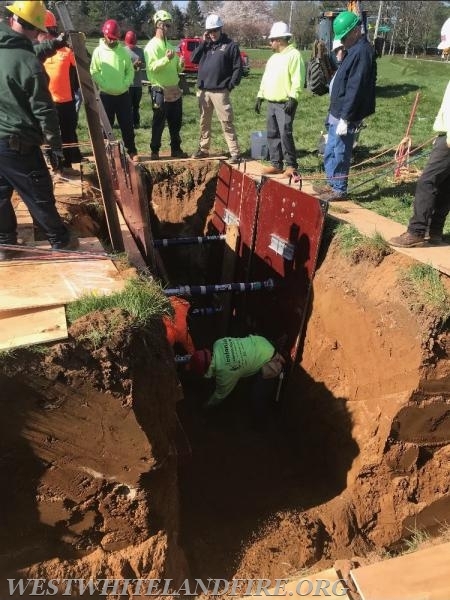 During this class, members learned how to safely shore a trench to work safely in in the event of an average work day or in an emergency environment. 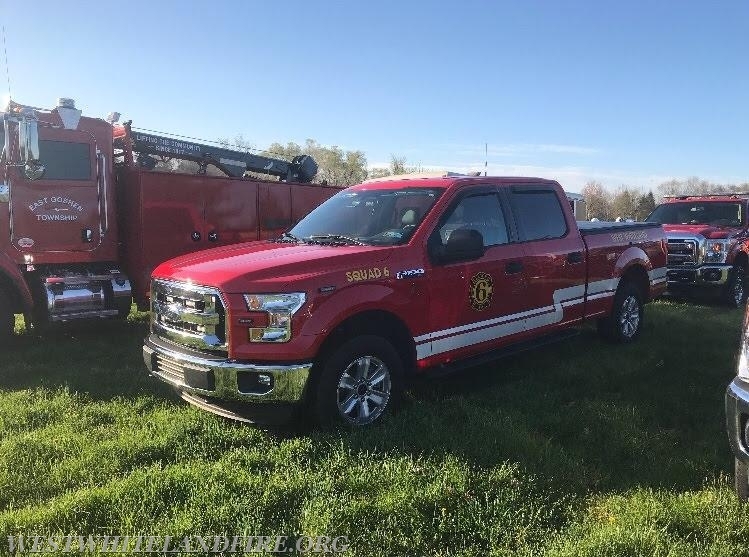 Thanks to East Goshen Township for hosting.